Starting today, Microsoft Teams is available in preview in 181 countries and in 18 languages to commercial customers with Office 365 Enterprise or Business plans, with general availability expected in the first quarter of 2017. Microsoft Teams provides the enterprise security and compliance features you expect from Office 365. 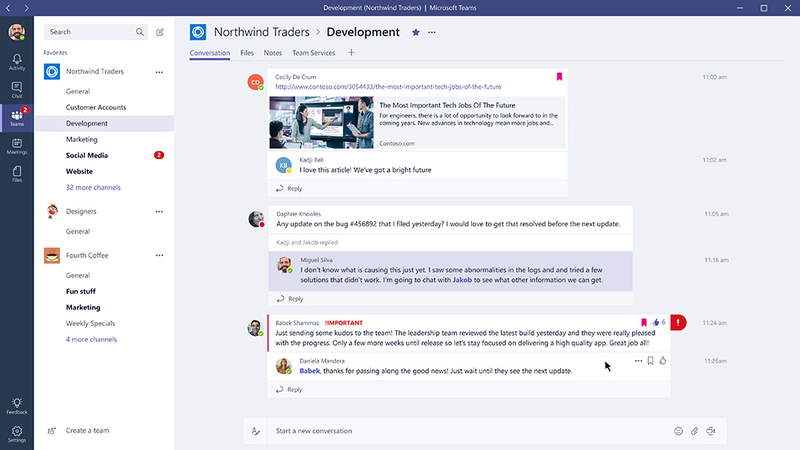 Tailor your Microsoft Teams workspace to include the content and features your team needs to access and use every day. How do admins turn on Microsoft Teams?